Pollination Services | Farmgate Honey Farmgate Honey Pollination Services Farmgate Honey | Bees are Sweet! 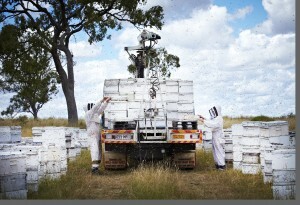 Farmgate Honey is pleased to be able to offer their hives for the pollination of fruit, seed and broad acre crops all over Queensland’s southern, S.E, Darling downs, Granite Belt, Bundaberg and Burnett region. We also go to the northern half of New South Wales. 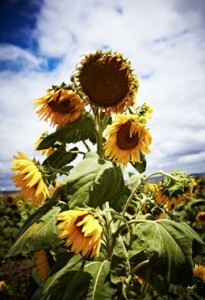 Whatever your crop we are willing to advise you on how pollination might help your crop and it’s yield. We charge per hive plus freight. Please feel free to contact us for advice and a quote. Please note we would need at least a month notice so we can prepare our bees. Please also note that you and your neighbours must agree to not use chemicals that are adverse to bees while they are pollinating your crop. Cotton Pollination Did you know that 1 hive per acre can increase your yield by up to 20%! Please read the following Australian and international research. Just got your first hive and not sure what do to? Or perhaps you have a few and would like a trained eye to take a look once and a while over the season. I am only too happy to help you with the many challenges of beekeeping and provide you with a consultation. We charge hourly and can structure this to need.